So Mika Vukona is human after all. The SKY CITY Breakers power forward misses his first game for the club, when sitting out the home game against Townsville Crocodiles on Sunday, since earning a full time roster spot in 2005. That’s 258 consecutive games. A more impressive stat that says a lot about the durability and athletic prowess of the man is that he has played in 325 of his last 326 games over the last 10 seasons. In fact you have to go back to 13th December 2008 to find the time Vukona missed his one and only NBL game. He was playing for South Dragons against Melbourne Tigers, suited for the game, but on medical advice didn’t play. Vukona’s commitment to the Breakers cause is legendary. Back in 2011 he sustained a grade two medial ligament knee strain in game one of the semi-final series against the Perth Wildcats. The prognosis was a two to three weeks recovery period. What materialised was a three day break, Vukona grabbing a game high 10 rebounds with one good leg, and the Breakers clinching a decisive 93-89 victory in game two before eventually going on to secure the first of four NBL titles. Breakers coach at the time, Andrej Lemanis was astounded by Vukona’s recovery. Today Vukona almost had to be restrained so eager was he to play in the opening home game of the season but on this occasion he bowed to the medical opinion that participation would hinder his recover and lead to possible aggravation of the injury. 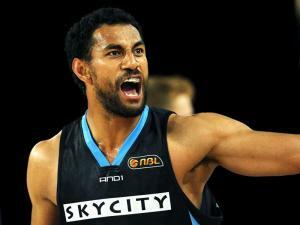 So in summary Vukona played 97 consecutive games for the Breakers in his first three seasons as a contracted player. He then spent two years in Australia playing a single season each for South Dragons and Gold Coast, a total of 67 games. Since returning for his second spell with the Breakers at the beginning of the 2010-11 season the club’s all time leading rebounder has made a further 161 consecutive appearances. That record-breaking sequence finally came to a halt today.